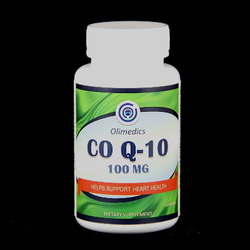 ​This product provides critical support for heart health. Take 1 soft-gel orally 1 to 2 times daily preferably with meals or as directed by a health care professional. CONTAINS SOY (SOY LECITHIN). This product is manufactured and packaged in a facility which may also process milk, soy, wheat, egg, peanuts, tree nuts, fish and crustacean shellfish. KEEP OUT OF THE REACH OF CHILDREN. DO NOT USE IF SAFETY SEAL IS DAMAGED OR MISSING. STORE IN COOL, DRY PLACE. Other Ingredients: Rice bran oil, gelatin, vegetable glycerin, soy lecithin and titanium dioxide. Shell Ingredients: Gelatin, purified water, vegetable glycerin and titanium dioxide.